Being a graduate student, I don't have a ton of funds on my hands. In fact they are pretty limited. Hence why I race so much, because that allows me to (hopefully) win training shoes with a $20-30 investment. Additionally I am a big fan of doing and creating things yourself. If I could make my own training shoes, I would. Which is why I hope to do some side work developing shoes for a running company on the side of being a Doctor of Physical Therapy in the future. One of the ways I do things on my own is creating my own energy bars. 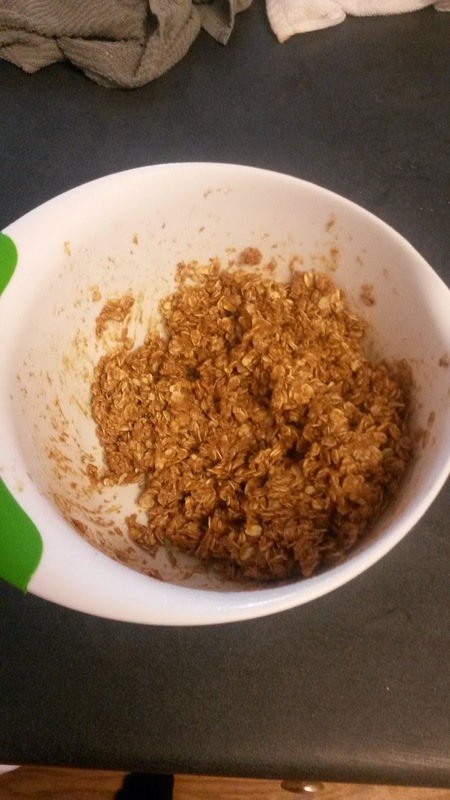 I started with Kleinbars (RECIPE) a few years ago in college because Clif Bars were too expensive and I wanted to be able to have a similar product. It took a good amount of time and tweaking (most of the original batches tasted like sh*t because I put way too much cocoa powder in the recipe. Lesson finally learned) but they eventually turned into a really good product. Fast forward to graduate school where I now am more tired and lazy (Kleinbars only take 30ish minutes to make. That's not that long... but I'm lazy). I generally don't have a wide variety of ingredients at my disposal because my kitchen is stocked with the essentials and not too much else. So I began the journey to create a bar/quick snack that I could take either before I ran early in the morning or as a quick snack throughout the day. I have learned the hard way about not having something in your stomach before morning runs due to some pretty horrible experiences almost passing out. Also because I'm diving deeper into Exercise Physiology and Therapeutic Exercise in DPT school. If you don't have some kind of carbohydrate in your system before you exercise early in the morning, your body will use some of your precious lean body mass (skeletal muscle) in order to fuel itself for exercise. Normally if you are fueled, this occurs after ~60 minutes of exercise, hence the purpose of gels and during exercise nutrition. Without fuel, it happens almost immediately. Having some carbohydrate in your system prevents/delays your body from breaking down proteins into their basic building blocks, amino acids, which can then be used for energy. That's not good. You want to save your lean body mass because that is what keeps your metabolism high and it's what makes you strong. That's what your body will go for in the morning if you run while fasting. Now, that doesn't mean you have to eat a full meal and then go run. My stomach can't handle running hard right after a large meal, so I usually have a small snack and then head out the door. Anyway, because I like things simple, I wanted to see what I could make from basic ingredients. After some experimenting, I actually have something pretty good! I call them, "Klein Bites" because you can roll them into little bite sized servings as quick snacks. I generally leave them in one giant clump and just pull off bites. The recipe only has 5 ingredients and all you have to do is mix and freeze them. 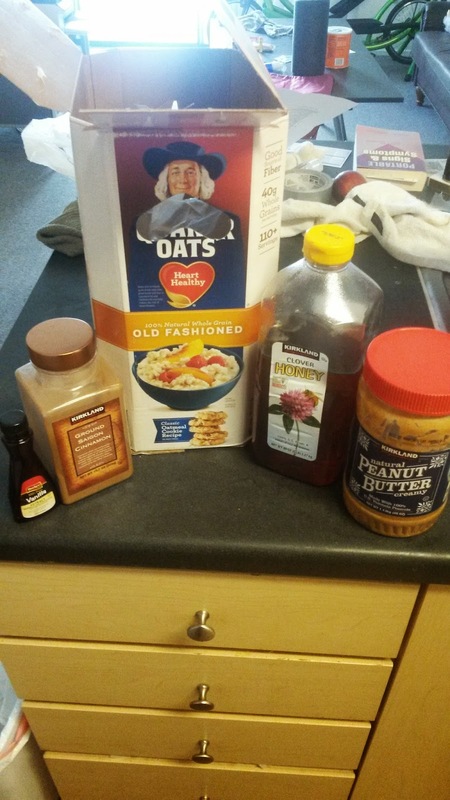 3/4 cup Peanut Butter (Get the good kinds without Hydrogenated Oils). From here you can either take the time to make little snack sized balls of this stuff and put them on a cookie sheet and/or plate.... or you could just leave the whole thing in the bowl. I just leave the mixture in the freezer to make sure it stays cold and take chunks off. Try it out and let me know what you think! There are many ways you could make this creation way more interesting with dried fruit, chocolate chips, protein powder, seeds, nuts and more. I just keep it simple. This is the stuff that fuels my morning runs and I enjoy it.